Discover the eco benefits of a new Lennar home at their event this Saturday. SACRAMENTO, Calif. - April 17, 2018 - PRLog -- Lennar is hosting a special event at six different communities to celebrate Earth Day and teach prospective homeshoppers about the green qualities of a new Lennar home. The event is taking place at communities in Rocklin, Sacramento, Roseville and Woodland, where attendees will be able to get creative with complimentary craft supplies to make a personalized flower pot and plant a new spring flower. Complimentary treats, refreshments and the chance to win a grand prize will also be available. The event will run on Saturday from 11 a.m. to 3 p.m.
"Everyday is Earth Day in a new Lennar home so we're excited to host this event where homeowners can get to know their new neighbors, and prospective homeshoppers can learn more about our communities and energy-efficient home designs," said Michelle Velky, Vice President of Sales and Marketing for Lennar Sacramento. "Starting with our Everythings Included® features, refined building process and choice of materials, and now our voice-activated home automation package, the list of environmentally-friendly features continues to grow at Lennar." Creating an energy-efficient home starts during the construction process. Radiant barrier roof sheathing increases cooling efficiency, which allows for increased indoor comfort and minimized air conditioning use. Low VOC paint, which stands for low volatile compounds, have a less harmful chemical makeup that improves air quality both indoors and out. Low emissivity windows, programmable thermostats and irrigation and energy-efficient lightbulbs also contribute to lowered energy use. 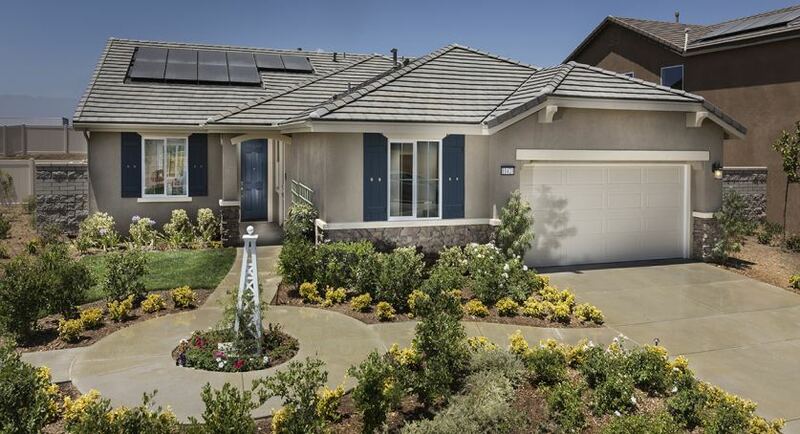 Lennar Sacramento offers solar packages at many of the new communities they build. Solar offers a revolutionary way to counter energy use – by creating it. State-of-the-art SunStreet Solar Systems allow new Lennar homeowners to take advantage of this eco-conscious technology. Along with energy-efficiency, Lennar's Everything's Included® program also provides homebuyers with a high level of additional standard features that add to their home's value. Beautiful quartz countertops, stainless steel and ENERGYSTAR-certified appliances, home automation technology and more all come included at no additional cost. Learn more about the benefits of a new Lennar home and take part in the Earth Day festivities this Saturday at Ironwood at Whitney Ranch in Rocklin, Carrington at WestPark and La Maison at Diamond Creek in Roseville, Edgewood at Natomas Meadows and Heritage Vineyard Creek in Sacramento and The Grove at Spring Lake in Woodland. For more information or directions visit www.lennar.com/sacspringsale or call (916) 304-9711. Find a full list of Lennar communities across the greater Sacramento region at www.lennar.com/sacramento.